1.Prepare outdoor grill for direct grilling over medium heat. Place hot dogs on hot grill rack; cook 10 minutes or until grill marks appear and internal temperature reaches 165°, turning frequently. 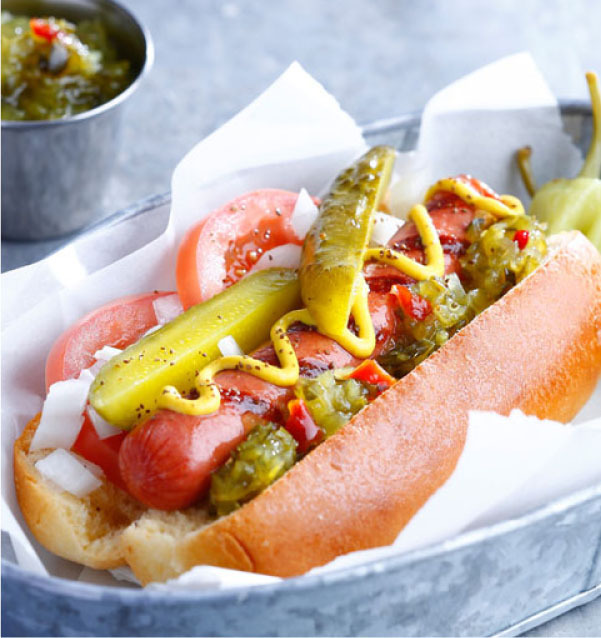 2.Place hot dogs in buns; evenly top with tomato, onion, pickle spears, pickle relish and mustard; sprinkle with celery salt and serve with pepperoncini.